HELP I’m Failing All of my Classes! I had a dream last night that I failed all of my classes. passed, exams have begun, and loneliness is kicking in. College is great. It’s a new world. It is the entry from childhood to adulthood. It is the beginning of your life as an individual person on your own. For all of the reasons college is great, it is also horrible. You’re all alone. Sure, there are hundreds of your contemporaries around you, and professors who tell you what to do all of the time, but this doesn’t compare to your relationships from home. At the end of the day, your friends at college aren’t yet as close to you as your friends at home who are like a part of your family. As much as professors sound like your parents when telling you what to do, they don’t always genuinely care about your success like your parents always have. If your exam grades aren’t as good as you expected, or if you find yourself withdrawing from classes, there is no reason to be ashamed. We all do it at some point or another. It’s not easy to feel motivated when you seem to be one in a million students doing the same thing every day. Believe it or not, our school provides more than just academic services. There are people here who care about your success and who can help you believe in yourself again. For example, everyone is assigned an adviser (check your iSiS account). Advisers are faculty members who also direct students toward a positive direction both academically and emotionally. They have been students before, some for a very long time before they began teaching, therefore they can directly relate to how you feel. 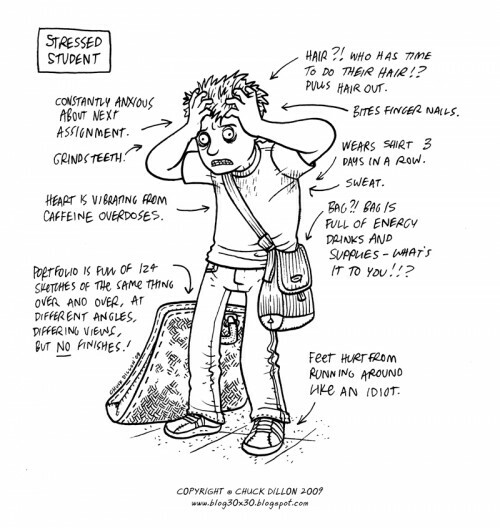 Counseling Services is one of the best resources during this time of year for all students. They are located in McGauvran Student Center on South Campus in room 363 and are also available through phone and email. Even if you haven’t been counseled before, it is so useful to share your stresses with someone. It is even more beneficial when they have the resources to assist you in achieving your goals. Additionally, faculty members in the Dean’s Office (Pasteur 305) want to support you. Frank Andrews, the Associate Dean of the Manning School of Business, enjoys working directly with undergraduates and always has great advice to give. Lisa Armstrong, Coordinator of Student Success, has an office right across from Frank Andrews’ office. Her job is solely to advise Manning School of Business freshmen, sophomores, and transfer students. She has the resources to help students of all ages. Furthermore, you can look out for your peers. If you see someone consistently feeling down or not showing up to class, lend an ear. If you’re not comfortable talking to them, give an RA or adviser a heads up. It is okay to show concern for your classmates. If you keep an eye out for them, they may do the same for you. This creates a warm community for everyone. It is just as important to keep an eye out for yourself. When you share your concerns with someone in the Manning School of Business community, we can help you get back on track. Help us to help you.